One of the feel-good stories of 2017. 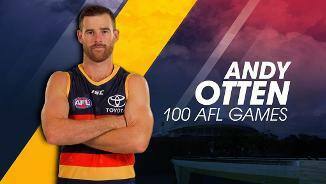 Otten, who has endured two knee reconstructions, returned to the Adelaide team in Round One after a 960-day wait between senior games. The ‘swingman’ played useful roles at either end of the ground in his 19 games. He kicked a personal best 20 goals as a forward including a career-high four against Fremantle in Round 10. When required, Otten was also valuable in his more familiar role in defence and continued to provide strong leadership. 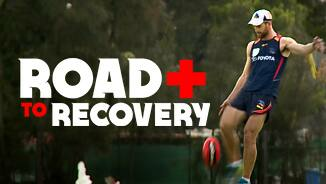 Overcame a pre-season knee injury in time for Adelaide’s SANFL season-opener. Otten played an important role in the Club’s inexperienced State League backline. The versatile defender was often tasked with minding the opposition’s most dangerous forward, a job he performed superbly. Calm and collected with ball in hand, Otten averaged 20 disposals a game at 80 per cent efficiency. Suspension and a thumb injury limited Otten to 16 games for the season, but he returned to help guide his younger teammates in Adelaide’s maiden SANFL finals campaign. Led the State League team as captain on several occasions throughout the season in the absence of regular skipper Luke Carey. The versatile defender started Season 2015 in the rehabilitation room following his second knee reconstruction last season. Otten made his long-awaited return to football in the SANFL in Round 13 against Central District after 11 months on the sidelines. The 2009 NAB Rising Star runner-up played out the rest of the year in the state league and often featured among the side’s best players. With a renewed confidence in his body, Otten will be eying a return to senior football in 2016. 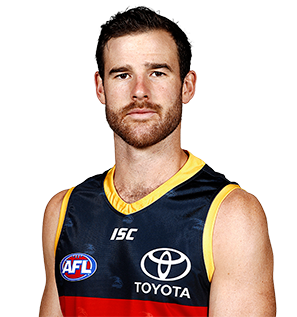 A pre-season knee injury kept Otten out of Adelaide’s AFL team until June. The versatile tall made his long-awaited return against Gold Coast in Round 11 and played 10 straight games before rupturing the ACL (Anterior Cruciate Ligament) in his right knee at the Gabba in Round 20. Otten, who missed the entire 2010 season after tearing his left ACL at training, underwent his second knee reconstruction in August. The popular Crow has impressed teammates, coaches and staff with his positive attitude and is progressing well in his rehabilitation. After a few injury-interrupted seasons, Otten returned to career-best form in 2013. The versatile tall didn’t miss a game and re-established himself as a key member of the team. 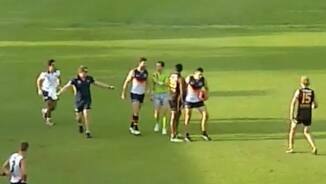 Otten started the season in defence, but became Adelaide’s designated ‘swingman’ when Taylor Walker sustained a season-ending injury. The 2009 NAB Rising Star runner-up, who also pinch-hit in the ruck, provided a strong target in attack, finishing the year with 15 goals. He was recognised for a fantastic season, receiving the Coach’s Award and finishing top-five in the Club’s best and fairest. The 2009 NAB Rising Star runner-up, who missed the entire 2010 season with a knee injury, endured another frustrating year. Otten played four of the opening five games of the season, but was squeezed out of the team by the good form of fellow defenders Sam Shaw and Daniel Talia. Impressed in his AFL return against West Coast in Round 17, but suffered a cruel blow when scans revealed he’d injured his knee during the match and required surgery. He made it back for the Preliminary Final loss to Hawthorn. After missing all of 2010 due to a knee injury, Otten made a successful comeback in 2011, playing 15 games. The versatile tall started the season in the midfield, but eventually returned to defence where he ranked second at the Club in intercept marks and third in spoils. He gathered a season-high 24 disposals against Port Adelaide in Round Four and laid a career-high seven tackles against Richmond in Round 23.